A while back I was commission by a friend to do some clean up work on their new set of helmets that were needed for tour and photo shoots. 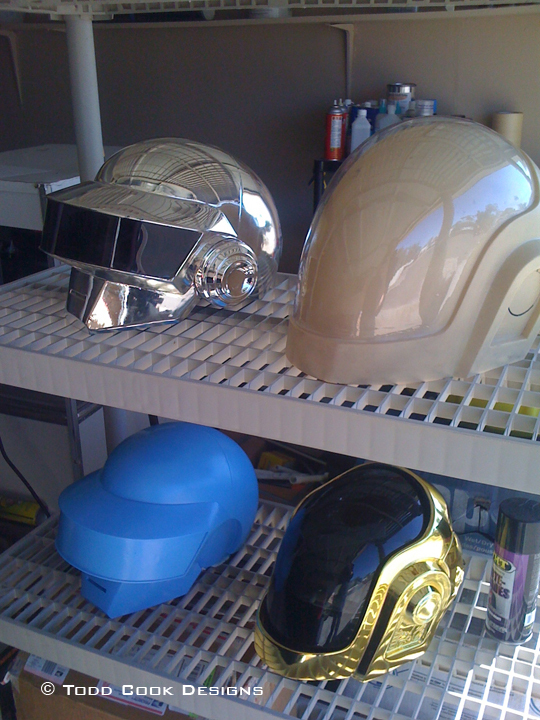 They needed to be super smooth because they had to look flawless once they were chromed. This is how they looked when they were dropped off. 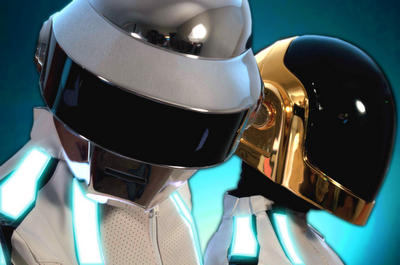 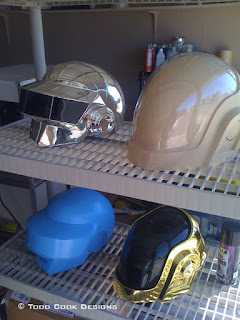 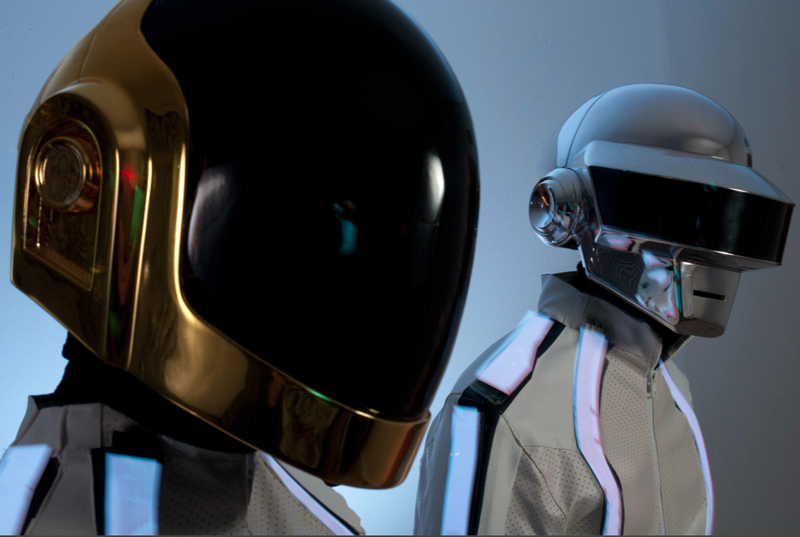 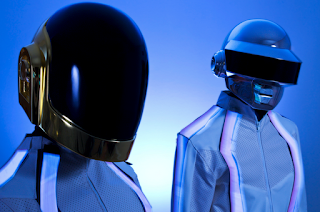 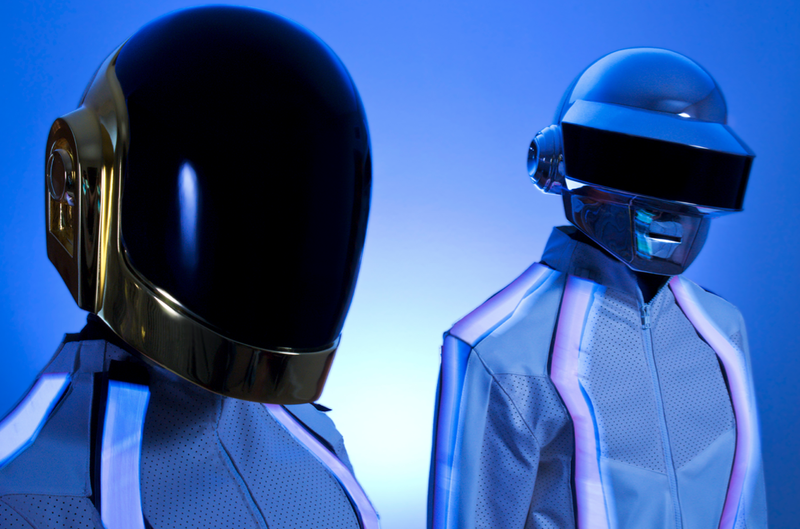 The gold and chrome ones were their old touring helmets and were left just for reference. 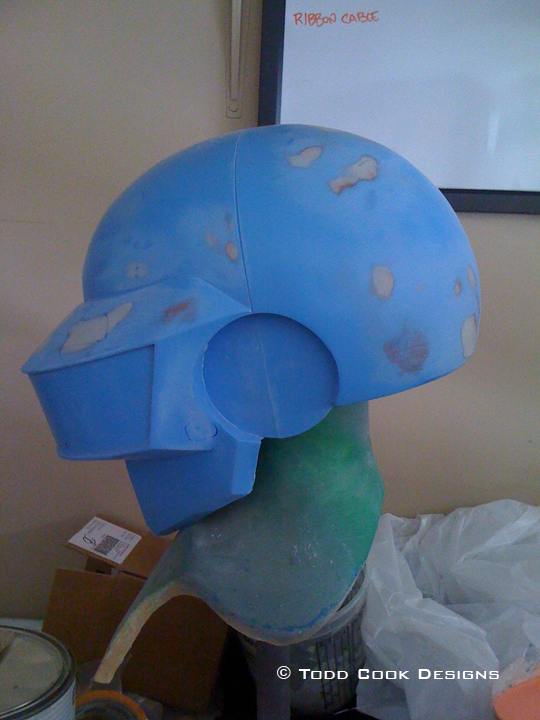 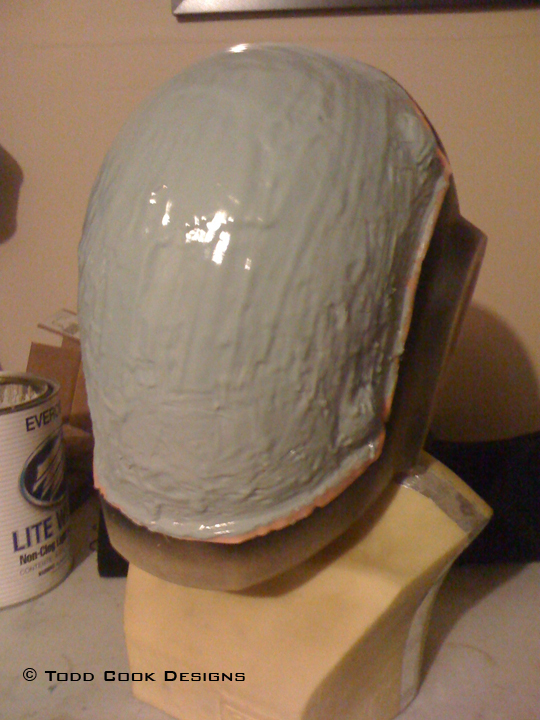 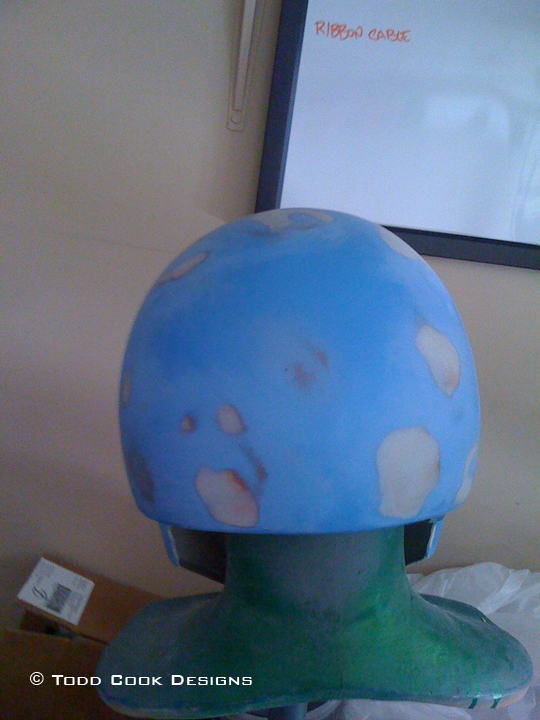 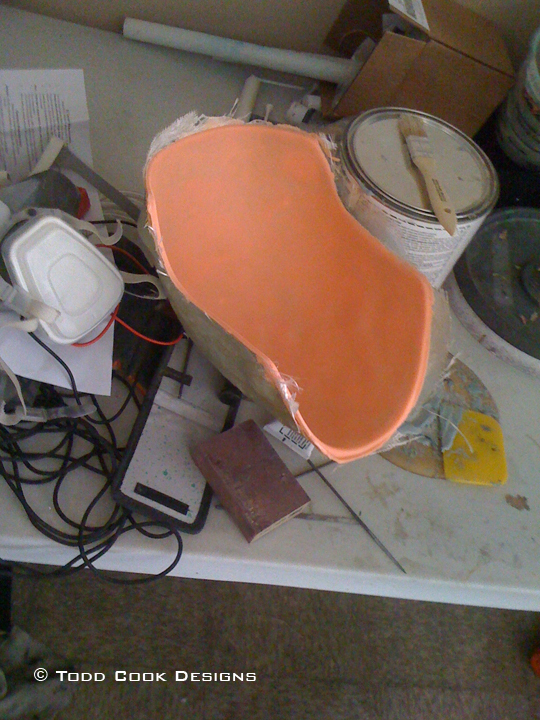 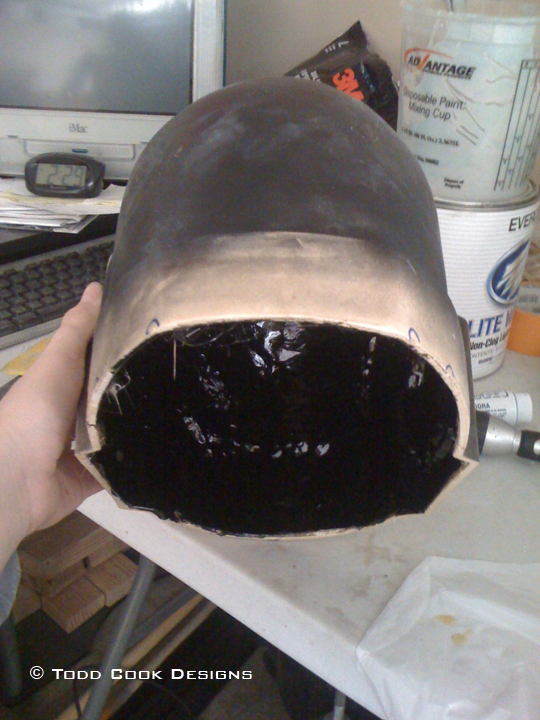 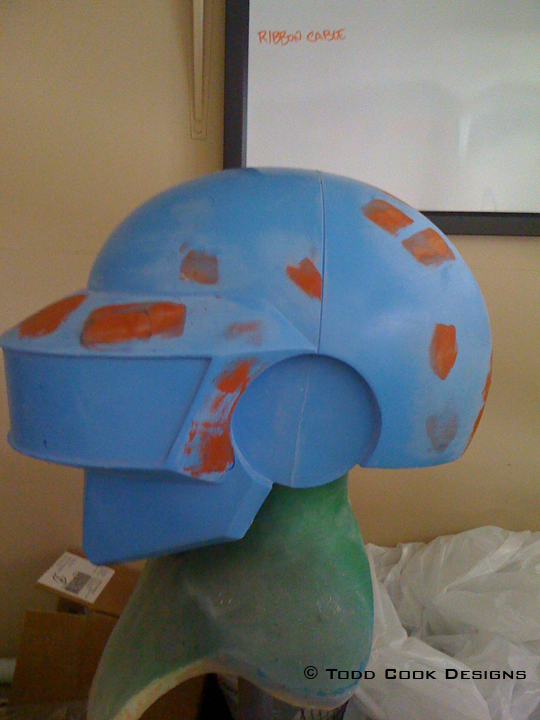 On the blue helmet there were a bunch of imperfections that were left in the casting from the key locks on the mold. They had to be filled and sanded smooth several times just to make sure there would be no issues with them. 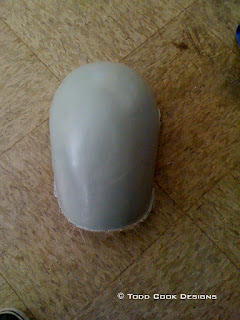 The other helmet had a few minor spots that had to be fixed, and my friend wanted the helmet to be a little thicker. 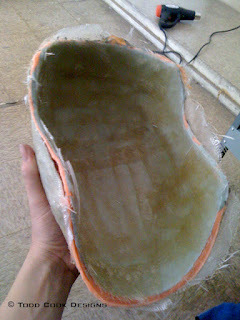 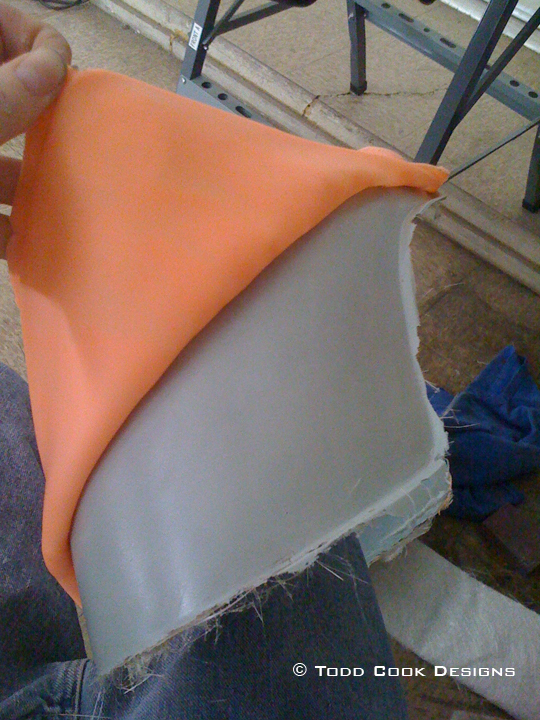 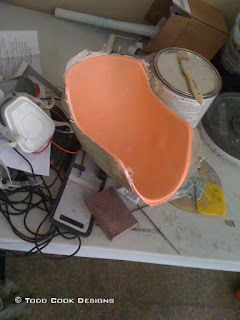 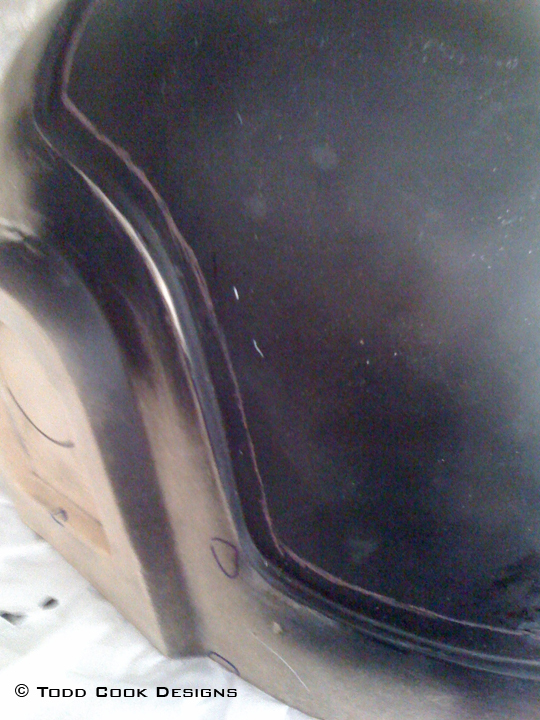 Another coat of fiberglass was added to the inside and then covered with a black resin to completely seal the fiberglass. 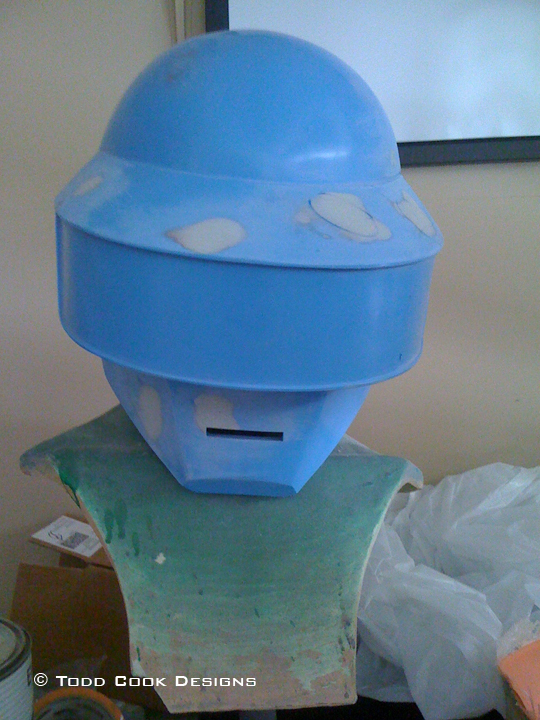 Also a waste mold was made so a vacuform buck could be made so we could make clear visors in the future. 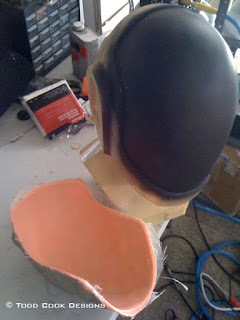 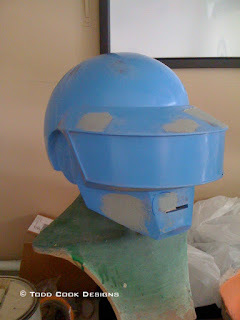 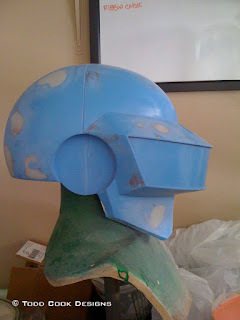 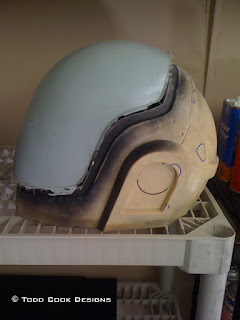 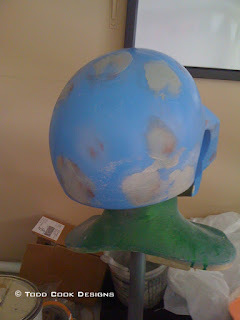 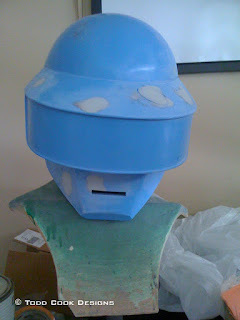 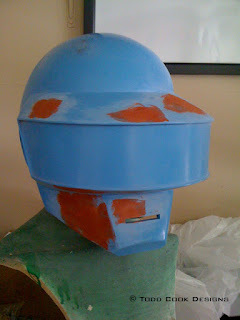 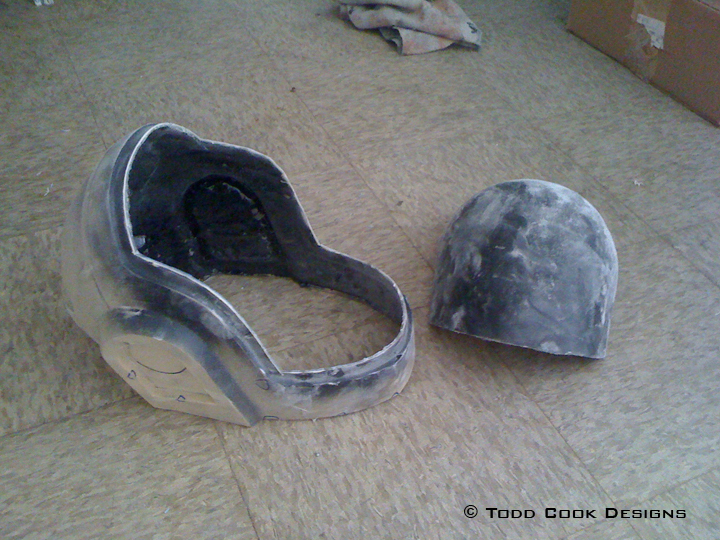 Once I had a good piece for the vacuform buck I could then cut off the dome on the helmet. Here are a few of the unedited promo shots. 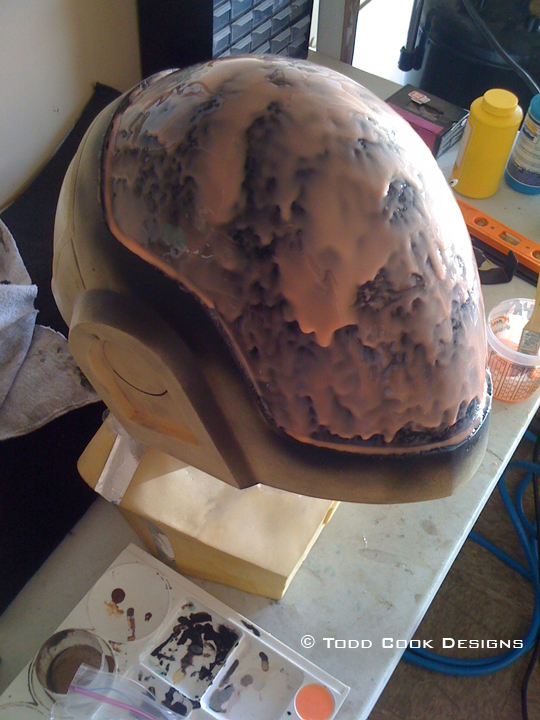 Helmets look super smooth and super clean!